Prime Minister Theresa May has reaffirmed the government’s commitment to delivering the whole of HS2 Phase Two. This is in response to a landmark letter from leaders in the Midlands and the North, calling for assurances that the UK’s first intercity high speed railway will be completed in its entirety. In January, more than 40 prominent figures signed an open letter urging party leaders to offer their unwavering support to the project, explaining that it is the only way to ensure the country benefits fully from a once-in-a-generation opportunity to drive regional economic growth and rebalance the economy. 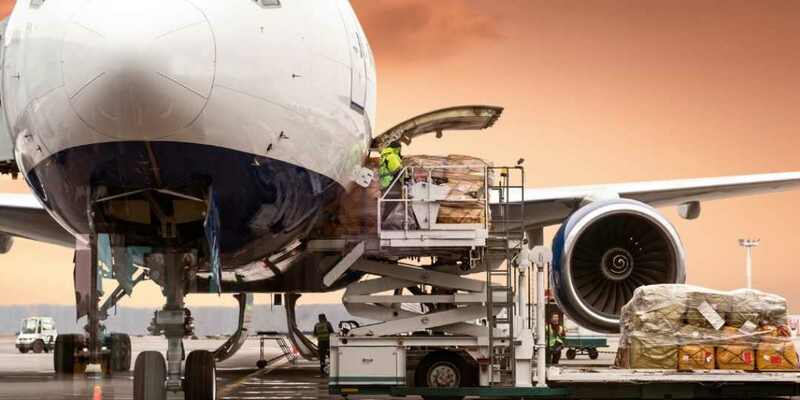 Published by HMRC, the figures also reveal that in 2018 exports of goods from England increased by 2.1% to £248.6 billion. Businesses report seeing an increased appetite for UK goods from non-EU countries, with the number exporting to these countries in the last quarter rising by 1.3% to 49,900. Sixteen West Midlands venues have been recognised in VisitEngland’s 2018 Attractions Accolades. The national tourism body’s annual awards have honoured the attractions based on the score they obtained following their Visitor Attraction Quality Scheme assessment, and as a result of the outstanding visitor experiences they provide – from customer service to the food on offer. 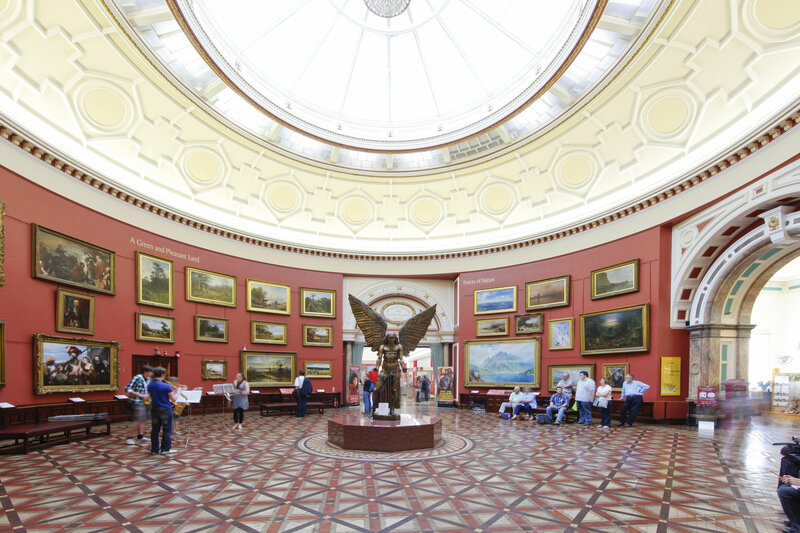 Winning venues in the West Midlands include; Aston Hall, Birmingham Museum & Art Gallery, British Motor Museum, Cadbury World, Sarehole Mill, The Coffin Works, Thinktank, Winterbourne House & Garden. 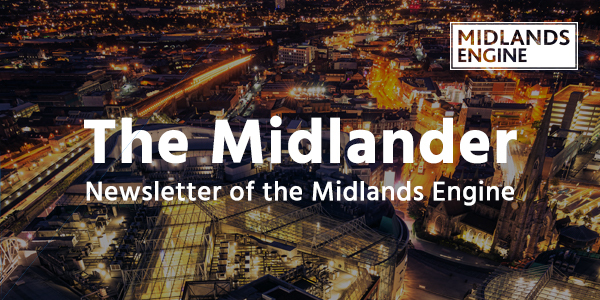 In last month's newsletter we announced the arrival of Team Midlands - a new initiative to help build momentum and unity behind the region’s growth ambitions and to help drive inward investment. This was the message from Sir John Peace, Midlands Engine Chairman, to some 200 business leaders at the East Midlands Chamber of Commerce Annual Dinner. In his speech, Sir John set out how the ‘growth clusters’ around HS2 will provide a once-in-a-lifetime opportunity to drive economic growth and social transformation across the Midlands. He reiterated the planned benefits arising from the wider developments around the HS2 Toton site: 74,000 jobs, 20,000 homes and a £4 billion economic uplift. 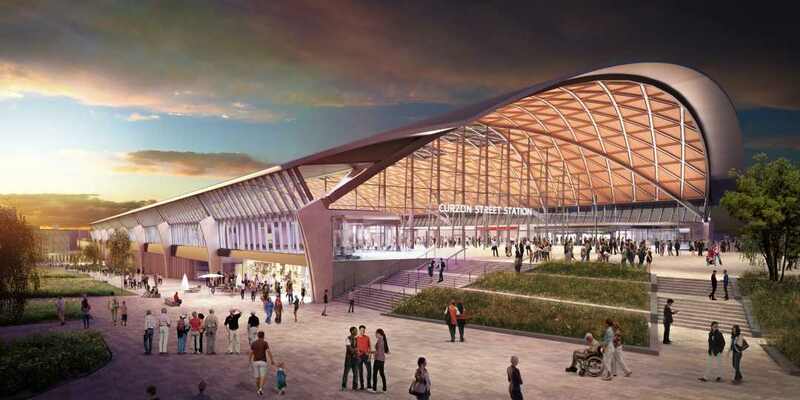 But the benefits, said Sir John, will spread far beyond the Toton site – including Chesterfield and the Peak District - as HS2 opens up regeneration opportunities and creates new gateways across the region. The first milestone has been reached by the Barclays Growth Fund after supporting investment of £50 million in Midlands businesses, a year after it was launched. The fund was established to support small and medium-sized businesses across the East and West Midlands to boost jobs and economic growth and followed on from the £250m Midlands Engine Investment Fund (MEIF). So far the fund has offered support to more than 80 businesses ranging from a variety of sectors and geographical locations across the region. A new advanced training centre will create the largest ever cohort of Robotics and Autonomous Systems (RAS) specialists for the global food and farming sectors, thanks to a £6.6m funding award. 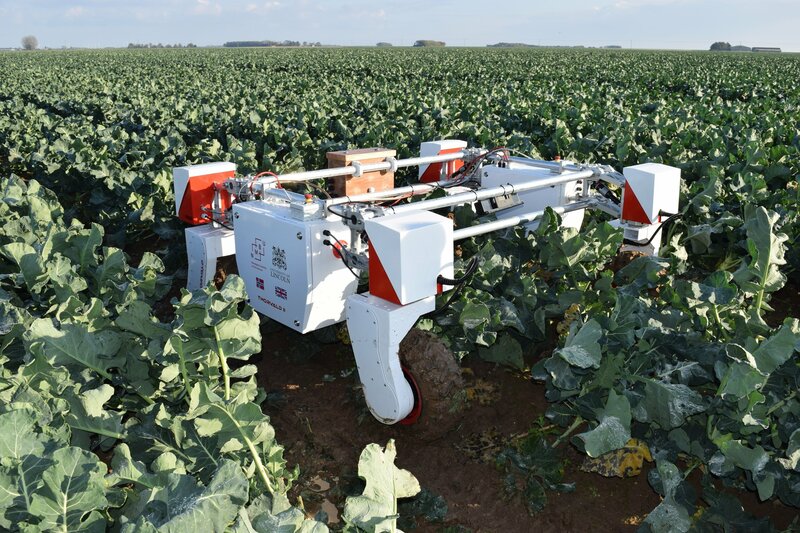 The world's first Centre for Doctoral Training (CDT) for agri-food robotics is being established by the University of Lincoln. 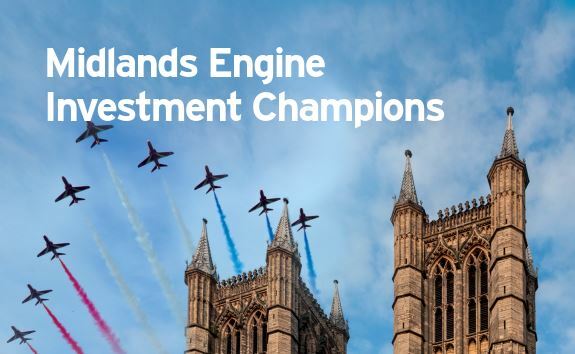 The Department for International Trade has this month launched the Midlands Engine Investment Champions Network. 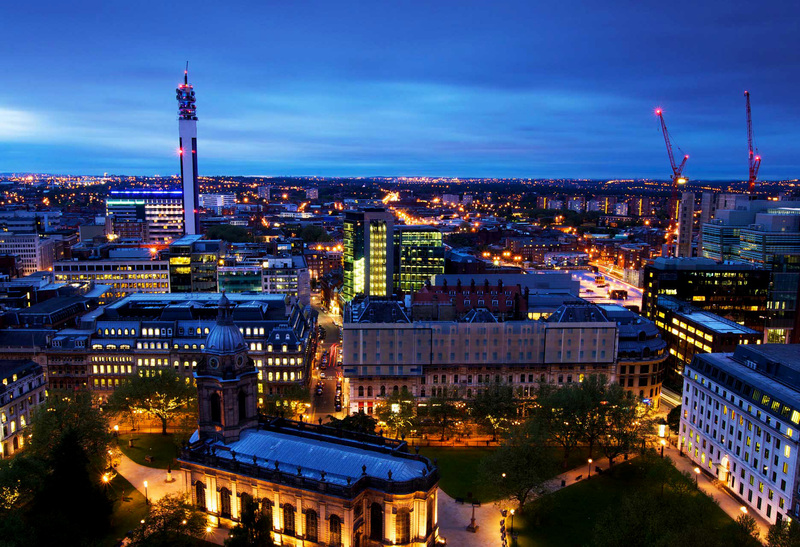 The aim is to recruit a group of successful inward investors who would be willing to share a small amount of their time to help attract new inward investors to the Midlands. These will be business leaders who are able to offer experience that covers a range of sectors, company sizes and markets. 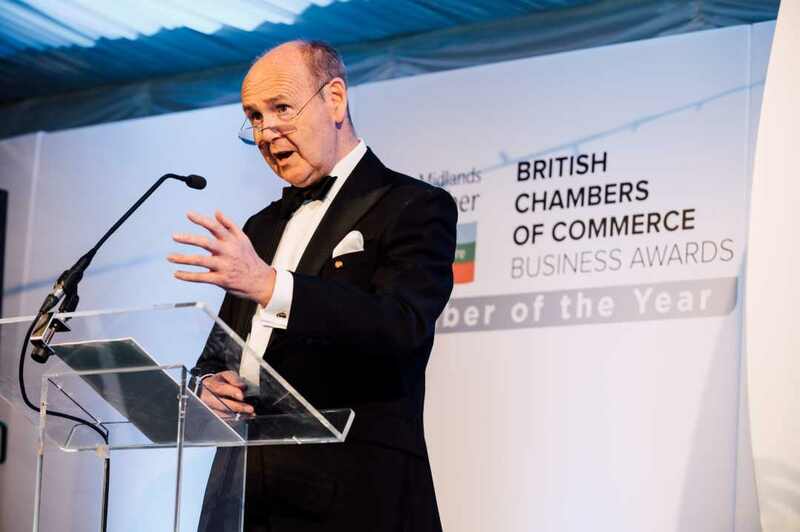 Sir John Peace, said: "We know that business professionals set great store by peer-to-peer support, so we have developed a network of Investment Champions to act as advocates for ‘Why invest in the Midlands region.’ This is a first for this initiative in the UK regions and the Midlands is leading the way. On a visit to Nottingham Trent University (NTU), Chris Skidmore MP, the Minister of State for Universities, Science, Research and Innovation, announced the University would co-lead a national centre to develop ways higher education can improve social mobility. The news comes as Nottingham Trent University received £9.7 million funding from the D2N2 Local Enterprise Partnership to support the creation of £23 million Medical Technologies Innovation Facility (MTIF). Telford College is launching a series of new courses to meet an urgent need for skilled engineers in the aviation industry. The programmes, which are due to begin in September, will run with the backing of the Aviation Skills Partnership (ASP), which has links with major airlines. The courses are intended to be the forerunner for the creation of a fully-fledged Shropshire-based ‘aviation academy’ which will supply skilled staff to the world’s leading military and commercial airlines. Visit the Midland Engine website for a full event listing HERE. Do you have a colleague who would like to receive the Midlander newsletter? Sign up HERE.